I'm back with another Sigma Makeup Friday Giveaway. 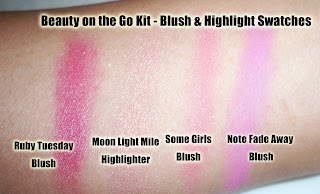 Today I will be featuring the Sigma Makeup Beauty on the Go Kit Blush & Highlight. This is my last Sigma Makeup Friday Giveaway this time around but I hope to do more in the future! I'll give you a review of the set and a chance to win! To see swatches, review and giveaway, click here! I think I saved this set for last because it's actually my favorite. It's the only blush/highlight set offered and this time around the palette again has shimmery, very pigmented colors but also a matte! You also get a highlighter. Now that's what I'm talking about! If you want a pigmented blush, this is it (like NARS pigmented). The color is so rich and vibrant that I would recommend starting off with a loose brush like a duo fiber or even a fan brush. Like the shadows, these are super soft so remember that you may experience some crumbling and loose powder on your brush so always remember to tap off the excess. Ruby Tuesday Blush: The darkest out of the set, it's a deeper red shade that will show up on all skin tones. Remember to apply lightly and build! In the palette it looks like a lot of gold shimmer but on the skin it actually has a satin finish. Moon Light Mile Highlighter: Yay for highlighters! This is actually a really flattering shade...a goldish, light pink which has a nice sheen but not overly shimmery when applied. It should coordinate with most blush colors too. Some Girls Blush: This is that peachy tone that everyone needs in their collection. It's an awesome every day color that gives the perfect flush. Not Fade Away Blush: For some reason, this color reminds me of Lady Gaga. It's a bright, blue based true pink. Great for a fun night out! Here I am wearing Some Girls Blush and Moon Light Mile Highlighter. Doesn't it look gorgeous on the skin? Giveaway Alert Giveaway Alert Giveaway Alert! Sigma Makeup has again generously agreed to sponsor a Beauty on the Go Kit - Blush & Highlight for one of you lucky readers. * Leave a comment telling me why you'd like to win. * I will select a winner at random and announce it on Monday's Post. NOTE: You can leave multiple comments but you cannot copy and paste the same comment. It must be an original comment that is meaningful. Also, do not post multiple comments in a row. Come back to my page later to post. This helps give everyone a fair chance. FTC Disclosure: Products were sent from company for review. I am not affiliated with the company and not paid to write the review. These are my honest thoughts. I am READY to win this beauty on the go kit because I only own the sigma brushes and haven't tried any of their cosmetics. I want to try it out. WOULD LOVE TO WIN!!!! Thanks for the giveaway. Take care. I would love to win because I have yet to purchase the Makeup from Sigma. I have been looking going on the Web site adding to the cart but not purchasing just been waiting! !Love the brushes but stuck on other brands of Makeup as of now!! Thanks Ren for this giveaway! I am a blush junkie so I would love to get a chance to win! Also I have yet to try Sigma's makeup line so it would be a great opportunity as well! I would like to win because I have never tried any of their products and would love to try them. I am thinking about buying some brushes. I would love to have more blushes in my collection. I haven't tried any of their products and would love to. Thanks dear! I never win anything so hope I'm the lucky winner this time around! I have been drooling over this kit since it came out but I just cant get myself to go ahead an buy it because I am trying to save up my money. I would love to win this and try it out because it looks awesome and I need some new blushes! Thanks for the giveway Ren! I would love to win this to try out Sigma's blushes!! i WOULD LIKE TO WIN JUST BEACAUSE I LOVE MAKE UP!!! I'd love to win because I've always wanted to try sigma make-up, and are ADDICTED to blushes, while I can't afford many.. I'd really love to win because I saw how amazing these blushes is on your skin and I'm totally loving it, I don't own sigma products so it would be a nice chance to try them out. I'd so love to win this because in the pics they look so good on your skin and i'm very close to the same skin tone as you! Brown skin holla! I'd love to win because I do not own any sigma makeup and I have heard so much about it. I especiallly love blushes. Winning will give me an opportunity to try these great product out. I'd like to win because blushes are one of the few traces of color I apply on my face without having to feel like I've done it wrong. I'm fairly new to makeup, and winning would be awesome since I'd be building my blush collection. Plus, these colors are gorgeous. I would like to win because I have never bought blush or worn it before. It scares me. Now that i transitioning into that "i'm almost out of college and I need to get my look together" phase of my life i would like to have a nice group of blushes to have for any occasion I might end up in. Thank you to you and Sigma for doing this giveaway! P. S. The new layout looks fantastic!!!! I don't have many blushes at all and really want to try these blushes - that's why I'd love to win this kit. Thanks. and i would LOVE to win this. dont' wear blush normally.... i think i only have like 2 blushes :p from a travel kit i bought and used them once. Love the colour of "some girls blush"
hi! i'd love to win this kit because i'm looking for the perfect pinkish blush and it has various shades of pink! I would love to win this as such products are not yet available in India. I would love to win these blushes because I don't own any sigma products,it would be great to try! I'd like to win because I love to couture my cheekbones and find these colors absolutely beautiful. I would love to win this because I have been wanting to try Sigma Makeup and this would be a great opportunity. I would love to win because I love sigma! I have their brushes and now I need to try those blushes!! Would really love to win as I am a blush fanatic but i've only got a few nyx 1s. would love to try the sigma ones. I want to win because I love Sigma and I LOVE you, girl! Mad props for the giveaway and great review. I would love to win this kit as I will be trying to get my boss to let me do the make-up at the salon I work in and I am lacking in the blush region and would love to use these. Id love to win because I'm just getting into make-up. And this will save me money by not having to go out and buy a lot of colors to find out which colors look good on me. I'd like to win the Sigma Beauty on the Go Kit Blush and Highlight because I've heard a lot of good things about Sigma makeup, I don't own any of their makeup and the color look beautiful. I'd looove to win because I'm such a sucker for blushes and this quad simply looks amazing *w*!! But since I`m still a student I`m on a low budget .___. I would love to win this kit since it would be nice to try out the sigma blushes! I would love to win because I haven't had a chance to try Sigma make-up and these look gorgeous! I'd love to win this blush quad because my blush collection is pretty pathetic. I only have two. LOL! I know its sad hey? But just cuz I don't know what blushes to use that would go well with my skin tone. So I don't want to purchase something that I just won't end up using. Your review on this particular quad totally grabbed my attention because you mentioned that the colors go well with darker tones, and ta da! I have a darker tone! LOL. So yeah! Please consider me in this contest! I am soo lacking a highlight and i absoloutley love those blushes... thanks for being so generous and give us giveaways.. i would sooo love to win. I'd like to win because I don't have any blush palettes! i wanna win this kit since i love what im hearing about sigma products.The colors are amazing! I don't own any blushes, just a few bronzers. I just started getting into makeup and am trying to build a decent collection. I am getting married in June and would like to start looking nice-er for my man. (= thanks for the opportunity! Omg im loving the colors of these blushs. Beautiful palette kit. i love havin blushed cheeks. Thanks 4 the giveaway. I love to win this kit because the color is amazing. I do not have good blush color. I would like to try out the peachy color on my cheeks. I love to have neutral cheeks rather than so pink. I'd love to win this kit because I have the neutral eyes kit & love it more than I thought I would! I'd love to try more of what Sigma has to offer! I would love to win this because i NEED some blushes. the only thing i have close to a blush is facefronts little gremlin pigment. I'm new to Sigma makeup and would love to win to try it out. I'm a MAC fan but have heard lots of great things about Sigma and would love to see how their colors would work with my skin. I'd like to win because blushes are my favorite thing! I already have the sigma's brushes and has a very high quality I would like to try more stuff of this brand like eyeshadows and blush...so it would be nice to win this makeup kit. Good luck for everyone and happy Weekend. I find I always concentrate my makeup on eyeshadow cause they are the most fun but recently discovered blush makes a huge impact on features. I also have deep hooded eyes that get very dark and I find using highlight really helps. These sigma pallets are so so beautiful!!! I adore having pink blushed cheeks these colors are amazing i love the pigmentation. I love sigma and id love to have something from there stuff. Love the colours, would be flattering on all skin tones! I'd like to win because I just started collecting makeup and have literally nothing but elf stuff (cause I be poor hehe..) and the blushes are not even comparable! Would love the opportunity to go outside my budget with these beautiful colours!! I'd love to win since I've been dying to try Sigma products and I really want to expand my blush collection. I only have a few and would love to try new colors! Thanks for the giveaway! I'd love to win because I haven't had a chance to try Sigma make-up and these look HOT! i want to win because i don't have much makeup and i want to have some new ones and try out cool stuff ! Hi Ren! Thanks for another chance to try some Sigma goodies! I've been wanting to try this for so long! I'd love to win especially because I don't have many blush options in my drawer--I tend to stick pretty close to peachy shades and would love a chance to venture out. Have a great weekend! I would love to win this - I love how pigmented NARS blushes are, but I haven't found anything that works for me in NARS. I would love to try this! I would love to have these blushes, because i don't have any highlight or pink shades... please help! I lovvve your reviews, thanks for being you. i would love to win these blushes because i will be moving to an apartment from a house soon because making money has been tough lately, im not in a financial crisis yet im not doing the best, i would really love some makeup so i can save money and give myself a "improved" look with my new apartment. this would mean so much to me, thanks ren. I want to win because I love pinks and goldens. I'll be so happy to win this Beauty on the Go kit. All those colors looks so beautiful! I never try any of the Sigma products and I'll love to try them. So beautiful! I've been looking for a good highlighter. I would love to win please enter me i would love to add color to my face with this awesome pallete thanks again for having such great giveaways and thinking about your followers you rock. I want to win this palette very badly. Im in love with cute pink blushed cheeks. i dont have any sigma products but ive been trying to win some here but i still havent hit the jackpot yet hoping to with this one! I'd love to win cuz let's face it.. all this cold weather has some of us (me) looking PALE! I need some blush magic in my life! plz god let me win this. no money for makeup :( you are so inspiring! I just wanted to sya first off that the backdrop (shower curtian) looks good, very professional. I would like to win this sigma blush kit because I only have one blush (cover girl) and it isn't very attractive (if you will). I would like to try this kit it looks great! Also because I actually do not own anything from sigma, and would love to start trying it out. Take care, and stay beautiful. Sooo I recently got to go home last weekend (SF) cause I go to school in a very isolated town, Merced and saw the half pink half purple blush from the spring collection at mac and they were sold out for like...EVER! I think this cute sigma blush would fill that void! Haha... Thanks girl! I would love to win this set because I don't wear blush because I don't know what colors to pick but I would love to have this set to start to practice and learn what shades would look good with my skintone. Would love to win because totally fell in looove with the colors! I would love to win because I have not tried anything from Sigma and blushes are some of my favorite products to use because they completely liven up your face and make you look ready for the day! i would like 2 win because this kit is just a dream come true to me i dont own sigma brand or mac or sephora cuz i cant affout it and i would be happy if i own this beautiful kit! I'd love to win this because it is hard to find blushes (decently priced) that work with my skin tone, as well as a majority of the other people who's makeup I do! This would be great for me and my kit! WOOT! I'd love to win because I've been looking for matte blushes to try out. It's extremely hard to find blushes without shimmer and would love to win the blush kit. I'd love to win this kit because I would want to explore more great quality blushes. I literally just have two different shades of blush, one which is by CoverGirl and the other is MAC Dainty which my friend gave to me as a gift. Therefore, this kit looks great because I can choose from four different colors! Thanks for the giveaway! I rarely enter give-aways purely because I don't think that just because someone is giving away something for free, I should go & try to get it. Most of the time, I don't need it and there's probably someone else much more deserving than me who should get the chance to win. But in this case, I NEED that blush & highlight kit! I've been wanting to try Sigma for so long but my spending limits have discouraged me from venturing out & buying their products. I've seen countless videos and I know that the one item I'd want from Sigma is this blush & highlight kit. I travel frequently so this would be the PERFECT item for me to carry. Plus, I absolutely LOVE blush & highlighters! They are my most favorite make-up items and if I can have these beautiful, pigmented colors in one set, that would be heaven! I'm totally on a blush hype right now and this is just perfect for my kit...still building it...I missed out on the other kit, but I'd looooove to have this one! Hope random picks me because I'd really like to win! Thanks a bunch again for doing this and thanks to Sigma Makeup for giving you the opportunity to do this as well! Love Sigma! i would like to win this kit becoz they are so versitle and the colors are really wearable, it is like high light color and cheek color and eye shadow all in one! I want to when this kit because like you siad it is a a great kit to have and since i don't own many blushes, tis kit would be great to help me start my collection. I would like to win this contest, because i really like this eyeshadow kit,its perfect colors, for everyday make up, and i'm really in love with their products. I think Sigma Make up has great quality of make up products. I really, really want to win. Id love to win this palette because I am starting my makeup collection and this is an amazing kit! I'd love to win this pallette because I don't have any sigma products and it is my favorite of all the beauty on the go palletes! thank you for the great opportunity! I would love to win as I would love to try Sigma cosmetics. I would love to win this palette because I only have one blush right now and I really want to get some more. Hi Ren! 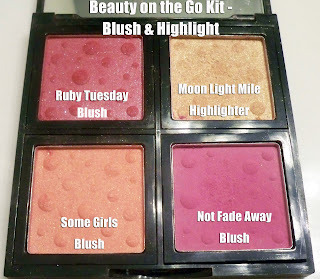 I'd like to win this kit because the blushes seem really pretty and I'd like to try Ruby Tuesday especially! I'd love to win because I don't own any Sigma product yet and I'm sooo intrigued by all the buzz around this brand! Living in Argentina makes getting good makeup really difficult. I reeally wanna win theses blushs, becaus ei dont have that much makeup, and i want to try some sigma products. I would love to win this product because I dont own any Sigma makeup and I would really love to try out their makeup because I know its going to be amazing! I'd love to win because I have a passion for blushes/hgliters... ad those from Sigma are awesomeeeeee! i would love to win this because i dont have many blushed and i want to build my collection. Hey Ren , great review ! I would love to win because the colors in this palette look amazing . I love the quality sigma is known for having . Plus it would just be really fun to win . Thanks for having the contest and good luck to everyone who enters! gorgeous gorgeous! i love the colors! this would be great for my kit! thanks Ren and thank you Sigma! I would like to win this kit simply because I'm looking for the perfect blush for myself. HI Ren! I would LOVE to win this kit as I have never tried any Sigma products and have heard how great they are. 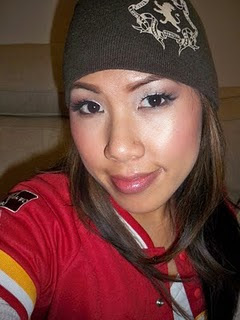 Also, I've had to hold off on getting makeup like this for a while after being laid off from my job in FL. :( Would appreciate trying some new, quality makeup. Thank you!! i reeeeeeally wanna win because it looks like such amazing produucts!! That's beautiful. Thanks for the review and the giveaway. I want to win because it can be my starter blush kit in my makeup collection. Love it! I would love to win because with my darker skintone, sometimes it can get hard to find blushes that look good on me, and hihglightes to for that matter. It would meen alot to me if i won. Hello Ren, would love to win simply because Im trying to build up my makeup kit with very low funds...being a MUA is my dream and passion...God Bless! Hey girl, I would love to win because I've never tried any of the Sigma brand makeup. I would love to win because this blush set looks amazing. The colors are so pretty and pigmented. Thanks. I would like to win this beauty on the go kit because I am currently a blush whore and this would be great for my blush collection. Thanks again. I finally am starting to play with blushes and highlighters and this kit looks both fun and useful for everyday and special occasions! As always, thanks for this great giveaway! I love blushes and highlights...id love the chance to win this....sigma is one of my favorite beauty products would love a chance to win and try out this product. I would love to win this blush/highlight kit because I've never really experimented with blushes before. I've never been able to find one that I feel comfortable trying. These sigma colors are amazing! I would love to win this pallette so I can build up on my makeup kit! I am in cosmotology school and want to specialize in makeup. these blushes are so gorgeous. i'd really like to win these blushes. they will go so great on my skin tone. i can't wait to try them! Ren, I became a Sigma fan when you did your first review on their brushes. I brought them and love them...I trust your judgement on makeup (You are my go-to beauty blogger), so I know this makeup is great. I would really love to get this palette! I'd love to win because I've never tried any Sigma products and would love to! i would love this cuz i dont have much blushes n those colors were really pretty!!!!!!!! thanks by love the vids!!!!!!!! I'd love to try something new. Thanks for the giveaways! I would love to win this palette beacause i heard so many good things about how beautiful and pigmented the blushes are.. I Would really love to win . Im simply a blush fanatic, you can be how tired or have very little makeup on, but by adding blush, you instantly look so freash and healty, it makes your eyes and your whole face pop! I need a really good blush to complete my look. I'm having trouble finding the right shade. I hope I win! I'd love to win this kit because ive always wanted to try Sigma makeup, and my blush collection is quite small at the moment. Love yous! Makeup Lesson - Making Those Colors Pop! The Beauty Clique at the Diva's Den!